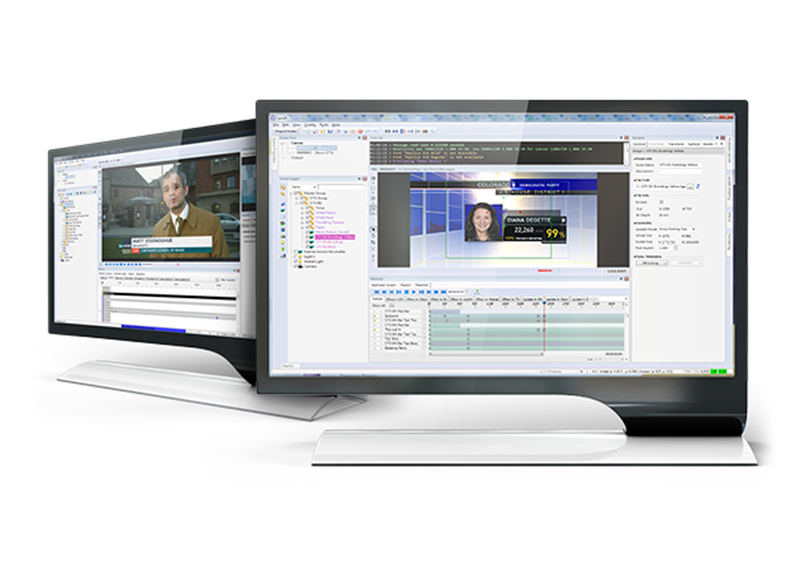 It’s been just 16 months since LyricX, ChyronHego’s flagship graphics creation and playout solution, received a NewBay Media Best of Show Award at the 2016 NAB Show. Over that relatively short span of time, the LyricX product team has been hard at work building upon this initial achievement and safeguarding a legacy that is arguably one of the most successful broadcast graphics creation tools ever produced. Now, on the eve of the next major release, graphic artists from across the live production spectrum of news, sports, entertainment, government, house of worship and beyond have something all new to embrace – LYRICX 3. 1. LYRICX IS GRAPHICS CREATION. REINVENTED. ChyronHego’s Lyric product development team created a truly 21st century graphics creation tool for live production. They began by reimagining the user experience. Improvements include a highly responsive User Interface which results in a designer's ability to create faster and an operator’s ability to maneuver quicker around the application. LYRICX's customizable UI supports a myriad of workflows and a logical reorganization of toolsets means a shallower learning curve. 2. FEED YOUR ON-SET SCREENS WITH THE INTRODUCTION OF LYRICX'S DISPLAY MATRIX. Graphics need not be reserved for the ubiquitous OTS or lower third. Today’s set designers are taking advantage of the larger canvas offered by video display technology. LYRICX’s Display Matrix option expands your station's branding and storytelling to an all new level. With Display Matrix feeding your on-set visual environment, motion graphics fill ever-larger video walls. Monitor displays are integrated within the anchor desk to create visually focused architectural set pieces, and interactive touch displays are quickly becoming the must-have on-air look. LyricX’s Display Matrix makes this possible within the same LyricX system already in place, and the same familiar design and playout workflow you currently use, and with absolutely no additional expertise required. 3. A MODERNIZED RENDERING PIPELINE. A rearchitecture of the rendering pipeline in LyricX has made soft-edged, shader-based masking powerful and flexible, and has opened the door to shader-based technology such as high quality anti-aliased render texture and specular mapping. With a resolute focus on performance, the foundation is in place for creating custom fragment shaders, which further opens a world of creative possibilities such as blurring, warping and color transformations. 4. MORE DESIGN TOOLS TO SATISFY YOUR INNER CREATIVE. 3D Primitives have long been a part of the Lyric design arsenal. ChyronHego product designers have developed an easy way for you to create 3D shapes without needing 3D modeling expertise. Polygon Object is a new 3D object type that lets users define shapes within their third-party design application of choice, such as Adobe Illustrator, and then bring the data back into LyricX where it can be modified and extruded. But we didn't stop there. Your user experience is always top of mind. Check out the updated Scene Graph. Searching and filtering for specific nodes or properties within your scene just got a whole lot easier. One of the hallmarks of LyricX has been a relentless drive towards high performance graphics creation. The move to live 4K production, particularly in sports, is rapidly accelerating. 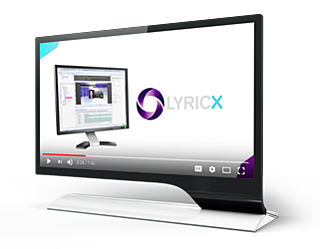 LyricX is resolution-independent, and its 64-bit architecture and User Interface is optimized for UHD workflows when paired with the LyricX HX Graphics Platform. In addition to the Console with runtime feedback, the Metrics Diagnostic pane presents real-time system performance during playback, ensuring that you always understand when your graphics are within the system’s boundaries. This is particularly helpful as it significantly aids in testing, design and performance confidence. Upgrading to LyricX 3 gets you these and a variety of other significant designer and operator improvements. Isn't it about time that you upgraded to LyricX 3?